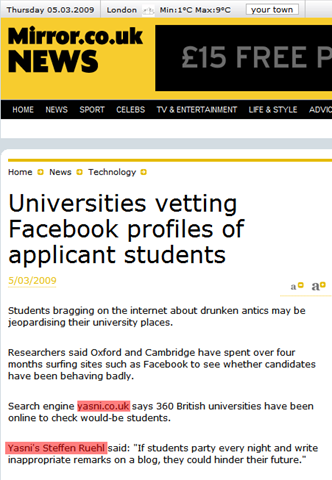 yasni.co.uk in and on the "Mirror"
Our thanks goes to “The Daily Mirror”! 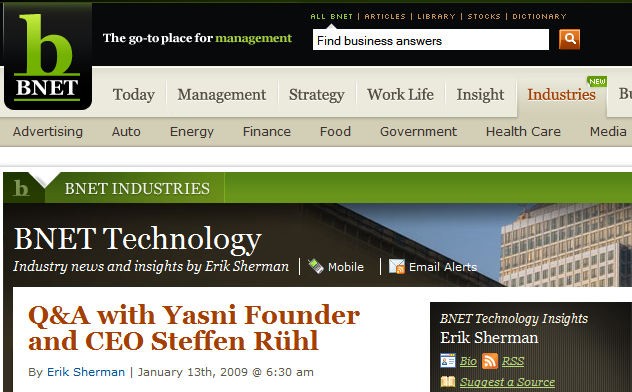 About a week ago our ‘Head Yasnian’ Steffen Ruehl was featured in a Q&A on one of the top US business publications, BNET.com. 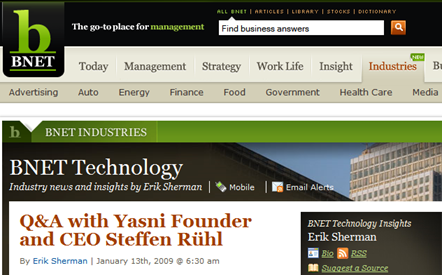 It was a tough (but fair) interview by Erik Sherman, and I think Steffen did well. 😉 If you’re interested in the interview then you can find it here.